Welcome to my corporation! Nightbird Inc is the proud owner of the web pages Crystal Visions and Gypsy's Door. We are looking to expand our services. I need members to invest in this corporation. They provide their services to the corporation. This will include taking assignments such as helping to build more web pages or soliciting. NO MONEY IS INVOLVED!! This is a corportion for fun and making new friends. 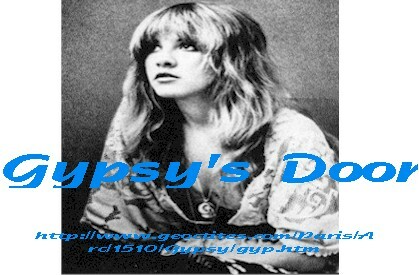 It will help further the growth of fan pages for Fleetwood Mac and all of its members. 3 I am looking to build a zine...... web, smail mail,and email...... called Blue Lamp. It will contain Fleetwood Mac news, poetry, and other things. 4 We will have two mailing lists when the corporation starts gaining members. One will keep you up to date on the process of the corporation. The other will be a discussion list for the members. 5 There will be awards for the harder working members and raises in the ranks of their current status iin the corporation. 6 As the corporation grows, we will meet on MIRC in a designated chat room. 7 We will have a webring to link all of our pages together. 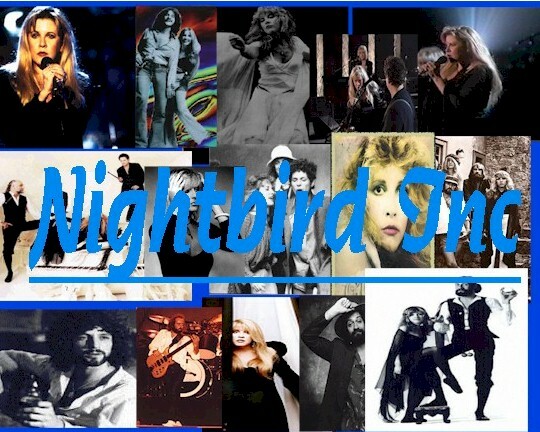 8 All of the links will be posted here at Nightbird with the names and email addresses of its members. I am the president at this moment. Please join this corporation in the effort of increasing fan pages for Fleetwood Mac! Please send me your name, email address, web page URL ( if you have one), and the projects you intend to start. Please send that to nightbirdr@yahoo.com. Please check out our other pages! !